Don’t get us wrong, we love a classic grilled cheese sandwich just like the next person. However, sometimes we’re in the mood for a grilled cheese that’s a bit more sophisticated. If that’s you, you’ll definitely want to make this pesto grilled cheese sandwich! The pesto, whether you make your own or buy it prepared, will be the star of the show in this gourmet sandwich. After making it, share the recipe with friends and family on Facebook, Pinterest, Instagram, and Twitter! To make this pesto grilled cheese, you’ll need: whole wheat sourdough bread, Cabot Unsalted Butter (softened), pesto (store bought or homemade), Cabot Sharp Cheddar (thinly sliced) and baby arugula. Lay bread slices on your work surface and spread butter over the bread. Turn bread over and spread pesto (spread it thickly for full flavor!) over the two slices of bread. 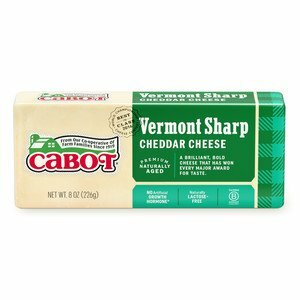 Top the other two slices of bread with cheese. Place a large non-stick skillet over medium heat. Cook the sandwiches open faced in two batches, adjusting heat to medium-low to prevent burning. Once the bottom is browned, after about 5 to 8 minutes of cooking, top the melted cheese with arugula, dividing evenly between the two sandwiches. Close sandwiches, cut in half and serve hot. Enjoy as a light meal and, if you like wine, this grilled cheese is lovely paired with a glass of crisp Sauvignon Blanc. Be sure to check out our recipe for Classic Grilled Cheese Sandwiches as well! 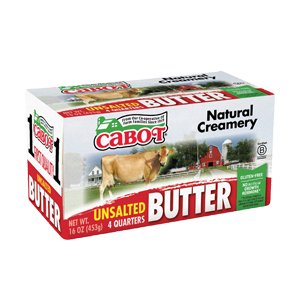 As a co-operative of over 800 farm families, our mission is to make the highest quality and best tasting dairy products you’ll find. 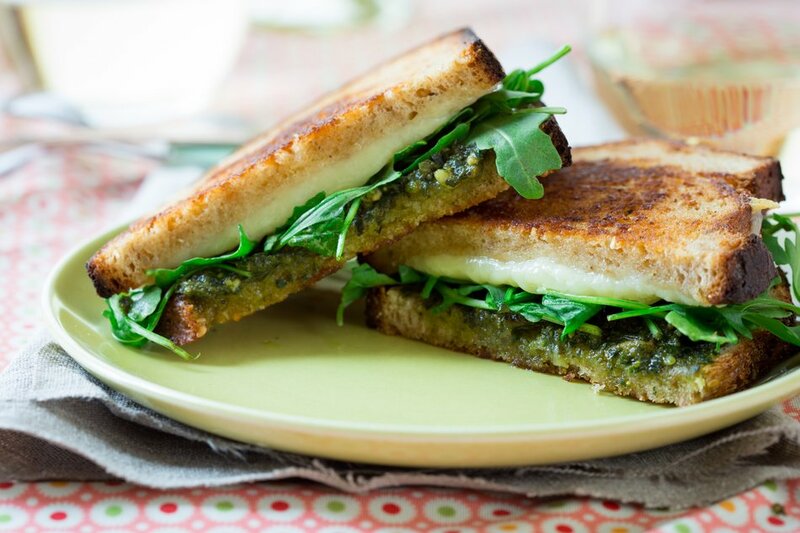 We’d love for you to rate and review this pesto grilled cheese with arugula once you’ve given it a try! LAY bread slices on work surface. Spread butter over the bread. Turn bread over. Spread pesto over two slices bread. Top the other two slices of bread with cheese. PLACE a large non-stick skillet over medium heat. Cook the sandwiches open faced in two batches, adjusting heat to medium-low to prevent burning until the bottom is browned, 5 to 8 minutes. 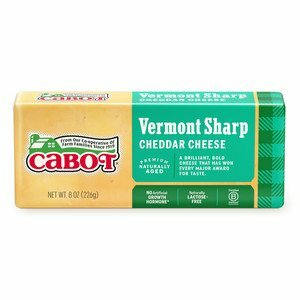 TOP the melted cheese with arugula, dividing evenly between the two sandwiches, Close sandwiches, cut in half and serve hot.